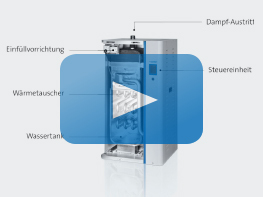 How does a gas-powered steam humidifier work? A gas-powered steam humidifier is an isothermal steam humidifier which uses a gas burner instead of electrical energy to heat humidification water. The combustion system of a gas-powered steam humidifier is based on a modulating pre-mixing gas burner and a gas pressure control valve. When humidification is required, the burner fan starts up and generates negative pressure at the air inlet. The fan runs for a short time in order to flush the system. The igniter is then activated for 15 seconds. During this time, the automatic electronic igniter performs a diagnosis of the safety system. This diagnosis also includes a test of the pressure switch which monitors the negative pressure at the air inlet. If the safety system is working correctly, the gas pressure control valve opens and the igniter ignites the gas/air mixture. The gas pressure control valve guarantees a constant proportion of air to natural gas or propane gas and does not depend on fan speed or external ambient conditions. The air and gas are fully mixed in the fan then guided through the burner openings where combustion takes place. The hot combustion gases flow over a divider inside the heat exchanger and to the exhaust gas outlet. The level unit constantly monitors the level in the water tank. When the device first starts up, the control unit checks that the level unit is working correctly. In this test, the tank is first filled up to level “A”, then emptied down to level “C”, and finally again filled up again to level “A”. After the tank is again filled up to level “B” and the level unit test is successful, the humidifier is ready for operation. As soon as humidification is required, the combustion process and in turn steam production begins. 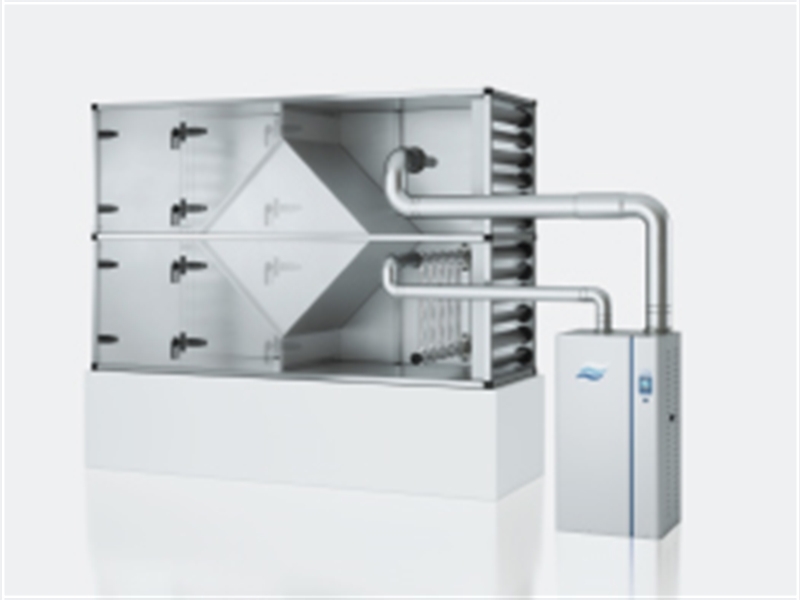 Using HVAC exhaust air to discharge exhaust gas provides some significant advantages. Firstly, installation is significantly easier, as a chimney is no longer required. Exhaust gas heat is used and regenerated through heat recovery in the HVAC unit, and the quality of exhaust air does not decrease in the process. The energy in the exhaust gas is made available for free, and the savings achieved can be accounted for in ventilation heat consumption. A range of power levels let you select the right unit for your needs, for use in a wide area of applications. 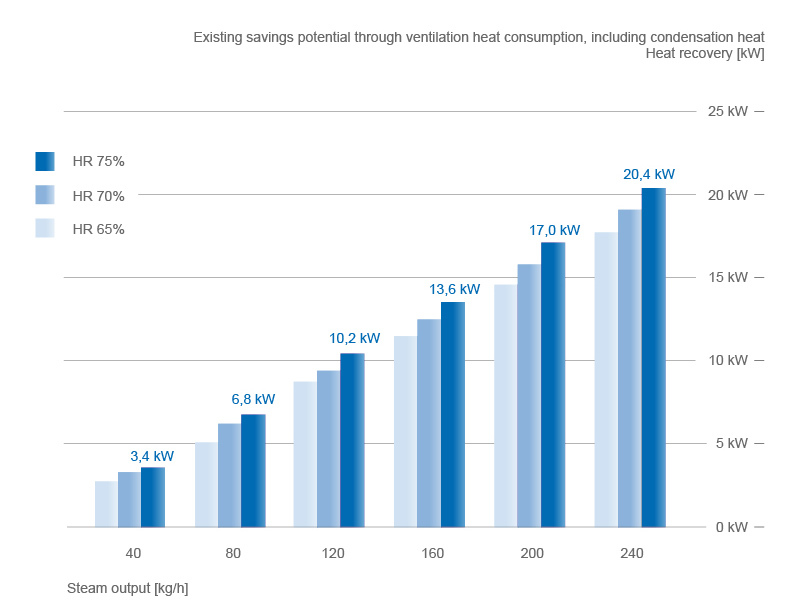 In addition, the heat output achieved in the HVAC unit increases along with the volume of steam. 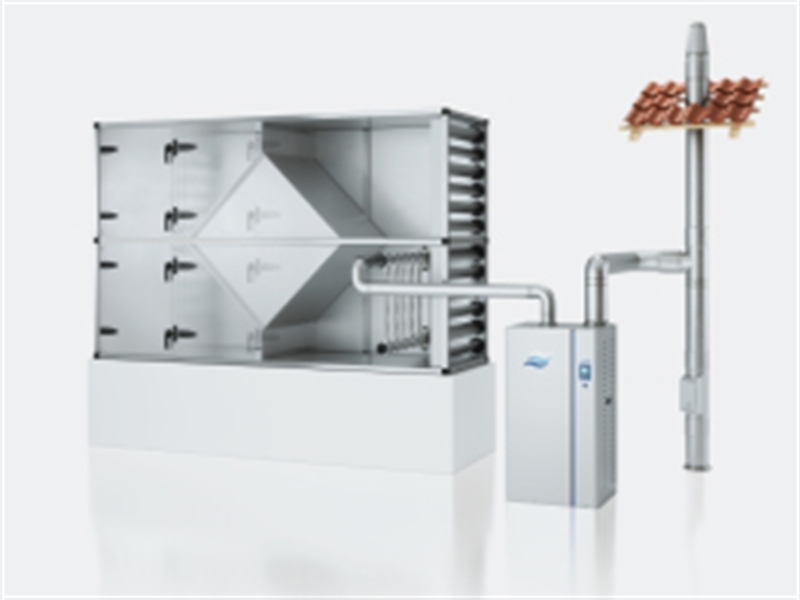 Total usable exhaust gas heat output is the result of sensible heat, achieved through the high exhaust gas temperature, and latent heat, in the form of steam. The values in parentheses represent sensible heat gain without condensation heat.